Journalist and author Barbara Ehrenreich is one of the driving forces behind United Professionals. Many art students would kill for Ilene Schuckett’s resume. After graduating from art school, she has been steadily employed by various New York advertising agencies for almost 40 years. Eight years ago, Schuckett took a pharmaceutical ad job, hoping to use her skills in a new capacity. Although everything seemed to be going well, Schuckett noticed a disturbing pattern. “Over the last two or three years, the company began letting people over 40 go with the excuse that they had ‘lost business,’” she says. Enter Barbara Ehrenreich. While writing her recent expose, Bait and Switch: the (Futile) Pursuit of the American Dream, the veteran journalist and activist learned first-hand the pitfalls of keeping work in corporate America. “I met with career counselors, I read self-help books, I used the Internet and job boards,” Ehrenreich says. Realizing that many victims of job instability had nowhere to turn for help, Ehrenreich secured a $10,000 grant from the Service Employees International Union and collected e-mail addresses from unsatisfied workers on a subsequent book tour. In a matter of months, United Professionals (UP) was born. Meanwhile, middle-aged workers face different but equally devastating challenges. In a corporate culture focused on keeping costs low, people in their late 40s and older are often viewed as too old to be valuable. 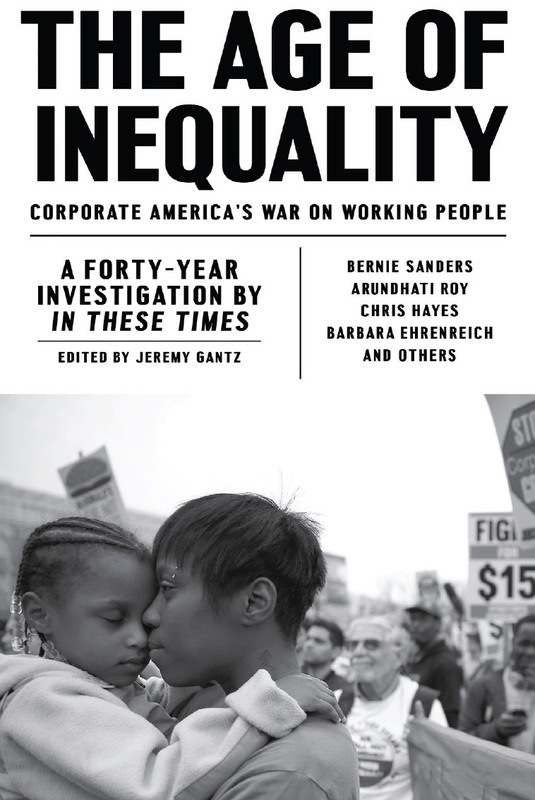 “At some point in the late ’80s and early ’90s, a whole bunch of corporate executives’ attitudes changed toward white-collar workers,” says Ehrenreich. “Blue-collar workers were always thought to be disposable, but now they started looking at white-collar workers as just expenses to eliminate.” Thus, veterans of the job market are frequently laid off with little warning and must work benefitless contract gigs to stay afloat. To start, UP will provide a variety of services for workers, including legal resources, job placement assistance and, ultimately, insurance support. Yet its primary goal will be legislative advocacy. Modeled loosely after the AARP, members have expressed interest in lobbying Congress on urgent issues like universal health insurance, unemployment insurance and college loan reform. “People are feeling like their concerns have not been on top of the national agenda for a long time, and they want to change that,” says Draut. To achieve its goals, UP must expand its membership. Over the past seven weeks, almost 300 people have volunteered to head local chapters. And with dues of a dime a day–$36.50 a year–the cost isn’t an impediment. 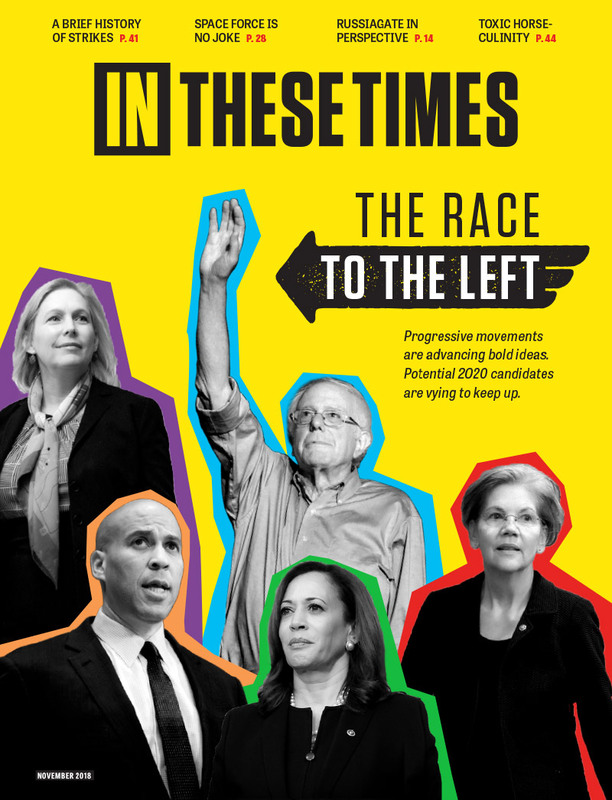 Adam Doster, a contributing editor at In These Times, is a Chicago-based freelance writer and former reporter-blogger for Progress Illinois. WTH, you gotta lay down that crack pipe. Unions still represent many millions of workers and AARP is a damn effective lobby. Support Unions the Mob needs a hobby. This is another example of the fragmentation of the labor coalition. To combat corporate power, white collar workers cannot abandon unskilled workers to achieve their own ends. The Democratic Party and big unions have largely abandoned unskilled domestic labor in their zest to lay claim to illegal immigrant worker's dues and future votes. What is needed is a strong coalition of all labor, similar to the AARP, that has real power in Washington and can represent workers that unions and elitists have abandoned to achieve their own ends. this is so black and white - you can have a movement for equality while respecting and trying to empower minorities/identities. Look at health care in Canada - there is still racism but the fact is that all people have health care. This gives more resources to work with for those minorities, it helps them fight for there rights. Basically economic equality should be the main goal, but we should also work to support other movements as well. As a poor, black, gay man what he wants most, he might tell you health care.